We recently were honored to fulfill an order for a congregation honoring 50+ years of service for multiple choir members. Imagine that…..more than 50 years of faithful service! Are there volunteers at your church whom you’d like to recognize – and thank – for their dedicated service? 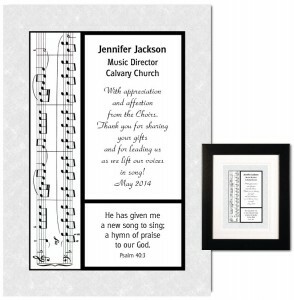 Check out our personalized appreciation plaques for gift ideas.